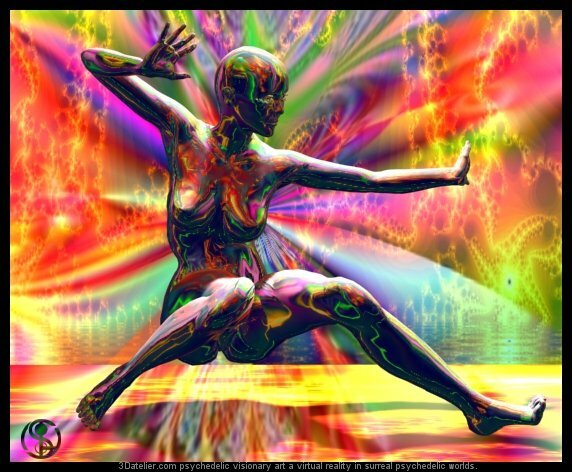 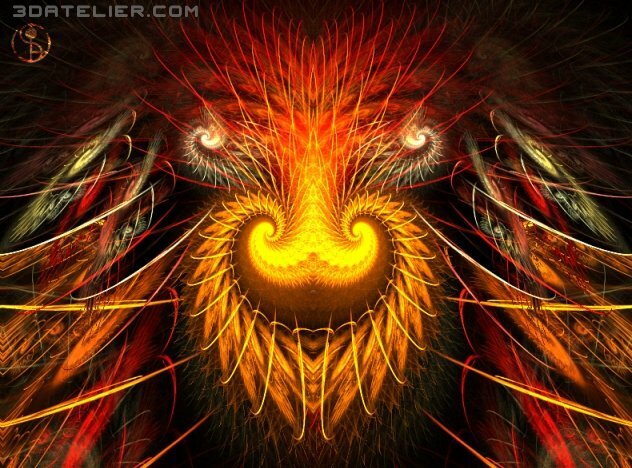 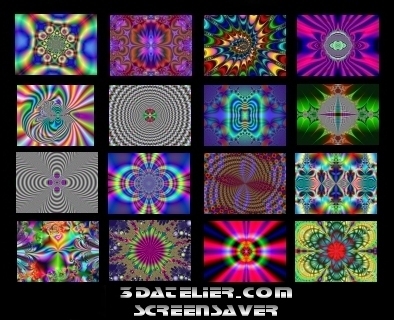 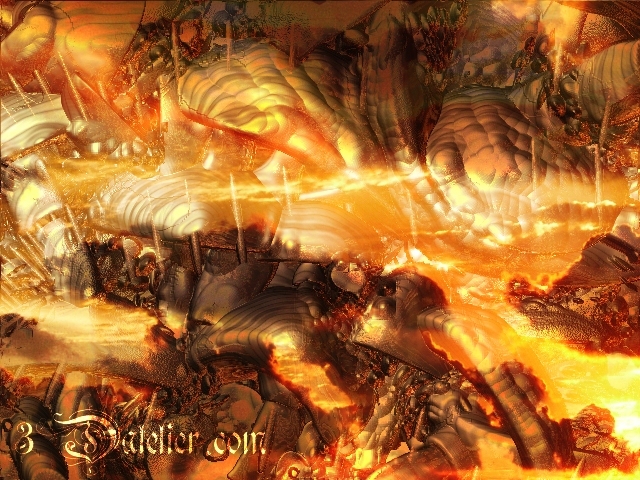 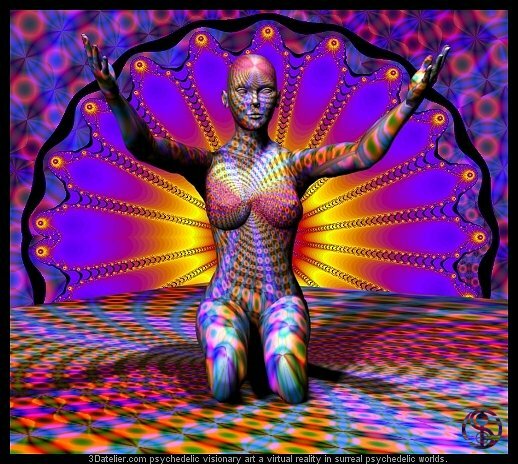 3D Fractal Art image gallery-crazy colors, psychedelic acid lsd fractals,amazing mad mind images ! 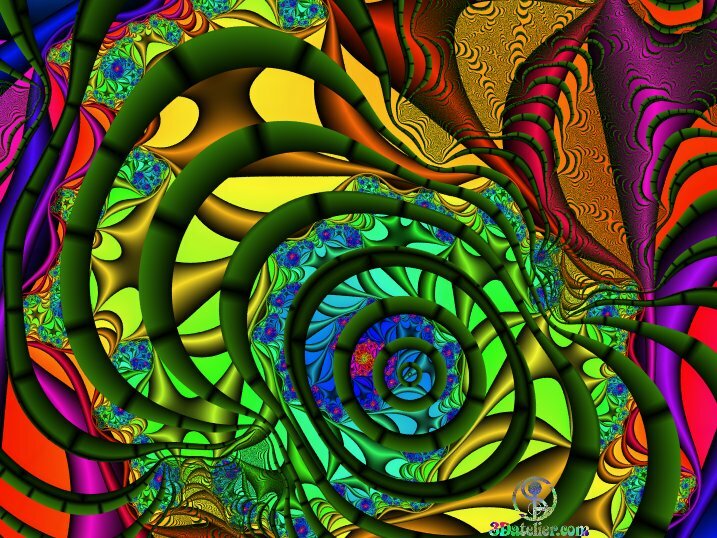 Fractals-A geometric pattern that is repeated (iterated) at ever smaller (or larger) scales to produce (self similar) irregular shapes and surfaces that cannot be represented by classical (Euclidian) geometry. 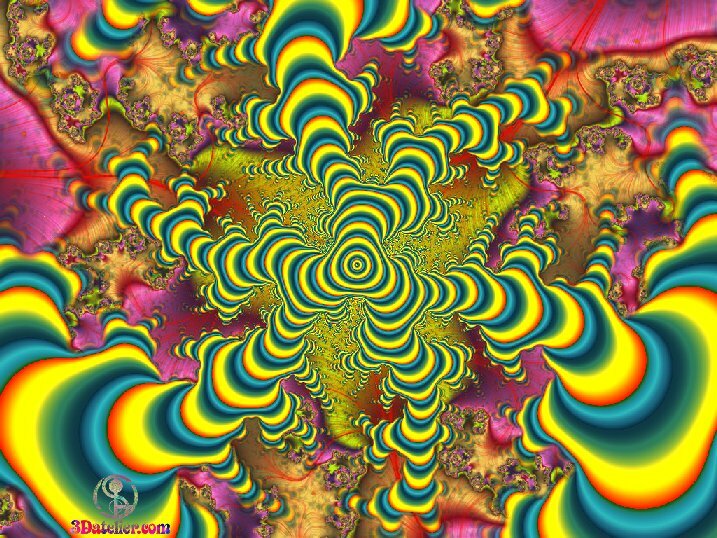 Fractals are used especially in computer modeling of irregular patterns and structures found in nature.A fractal, also monster curve, is a geometric object which can be divided into parts, each of which is similar to the original object. 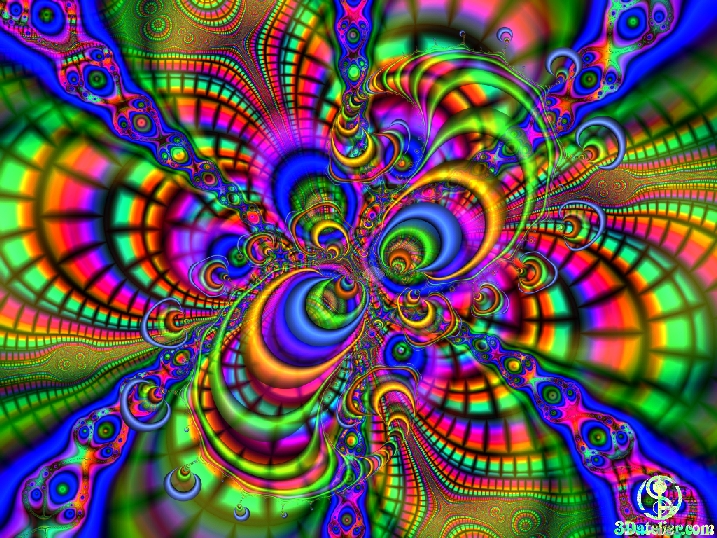 Fractals are said to possess infinite detail, and are generally self-similar and independent of scale. 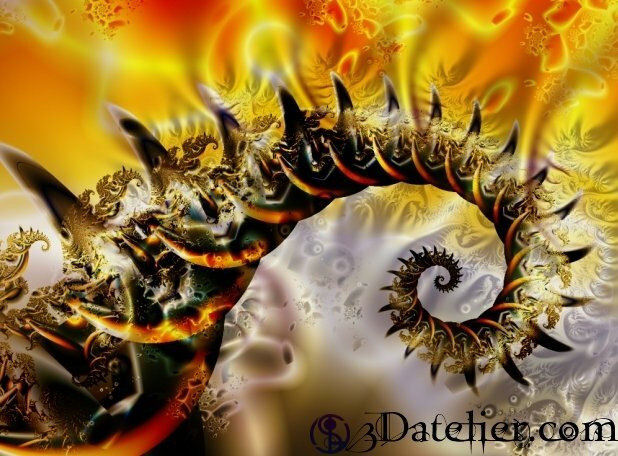 In many cases a fractal can be generated by a repeating pattern, typically a recursive or iterative process. 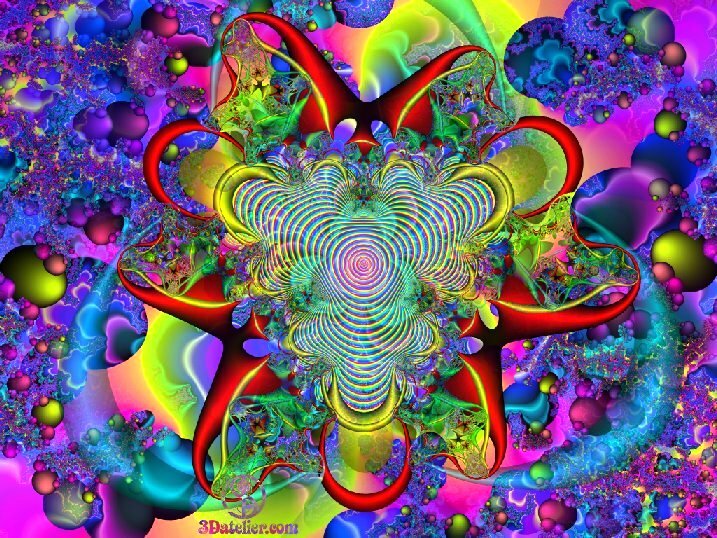 The term fractal was coined in 1975 by Benot Mandelbrot, from the Latin fractus or "broken"/"fraction". 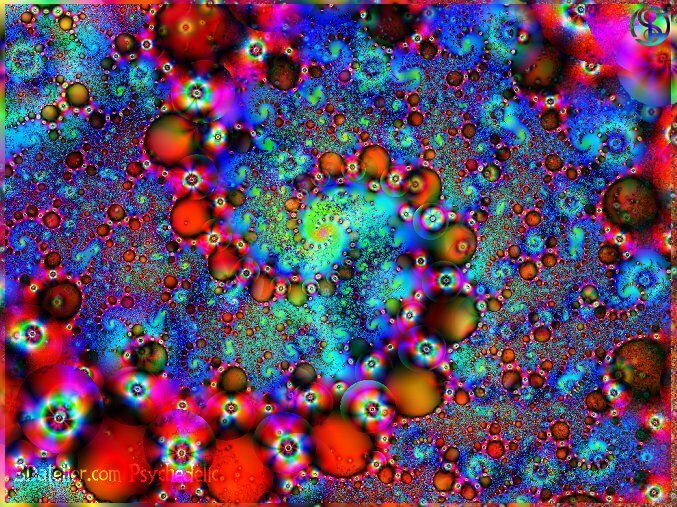 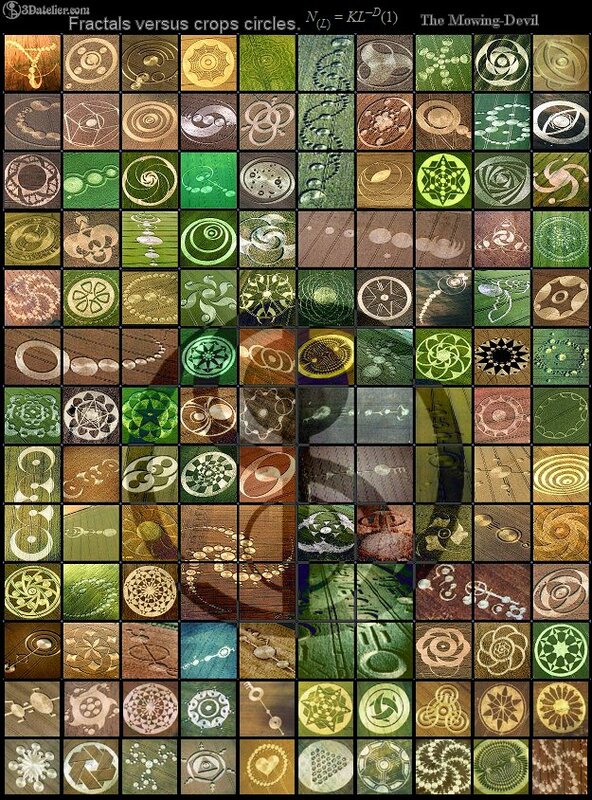 Deeply textured fractal related patterns. 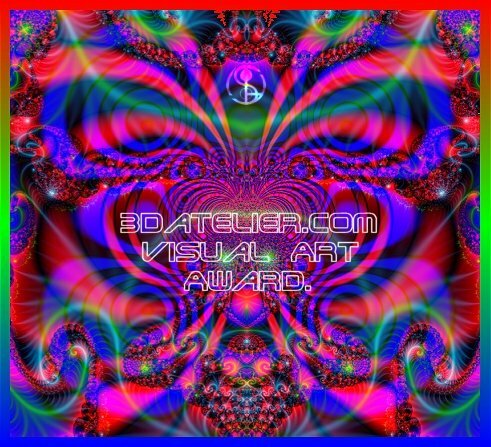 -D-HTML Interactive slideshow mind bending mathematic psychedelic trippy acid magic style images- No slideshow click the PLAY/STOP button! 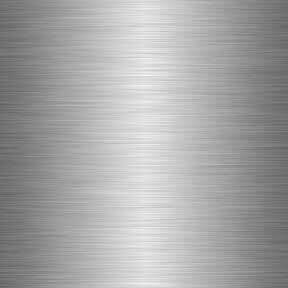 "introduced to America in 1951 by the CIA"